We have targeted week of November 26th to begin the next phase of this project as described in the information below. Over the past seven weeks the encroaching Bermuda grass has been sprayed 3 times. The last spray was on October 26. At that time, there was very little live bermuda observed. With the kill we’ve achieved and the bermuda going into winter dormancy there is no reason to wait any longer to sod the encroached area. On Monday November 26th we will close the green and start renovating the surround. The dead Bermuda will be stripped, the ground will be lightly graded to match the green surface and bent grass will be taken from the nursery and laid around the green. The green will be reopened once the new sod has been laid. 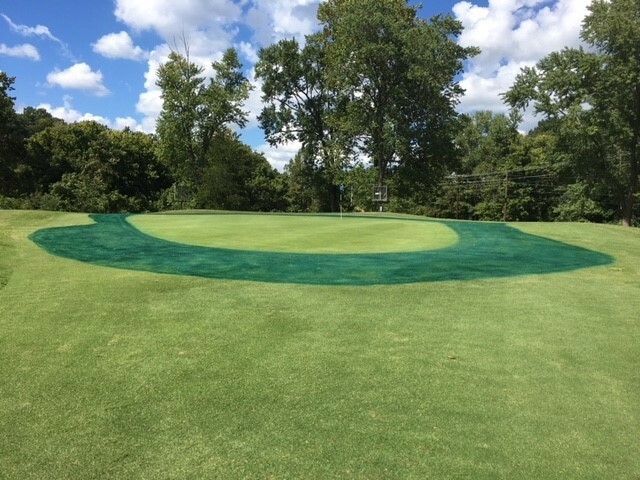 During the fall the new sod will be rolled and topdressed and grown slightly taller than the green to encourage rooting. 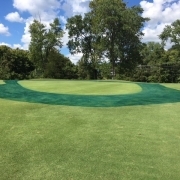 In the early spring of 2019 the height will gradually be taken down to greens height at which time the new sod will be playable as a greens surface. We fully expect the new area to need additional maintenance during the 2019 season until it is fully established. This will include additional hand watering, topdressing, and small tine aerification. 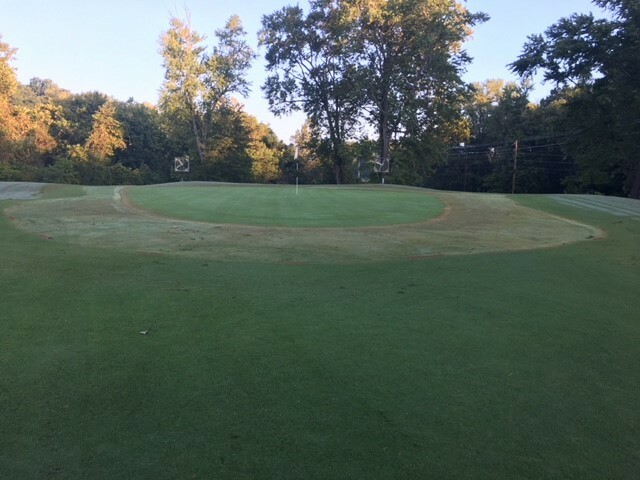 The large oscillating fan from #6 Berksdale will be moved to the left side of #13 green Kingswood and the small square fans in the back of the green will be removed. During the re-sodding a temporary green in the approach will be used. We appreciate your patience during this time and apologize for any inconvenience. We are confident that this project will improve your golfing experience.